The JV hockey program skates on average 2X per week. The ultimate goal of the program is to develop the basic skills of hockey, and along the way, have lots of fun. 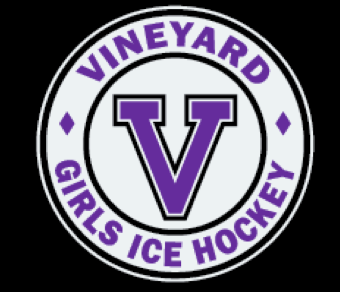 There are only a handful of schools in Massachusetts that offer JV girls ice hockey, and because of that, the game schedule is very limited. Most of the development will be done in the practices on-island. Varsity and JV ice hockey have different levels of commitment, and like all high school hockey programs across the state of Massachusetts, the practice schedule and game schedules are very different. All players must adhere to all school rules in order to be a part of the JV team. If a player is late for school, does not attend school, or violates school rules, they cannot participate in a practice or a game that day. All chemical health violations will be subject to the consequences explicitly explained in the MIAA handbook. Coach Simmons has the option of deciding a player’s participation in practice or games at any time when issues arise. JV players have been invited to be a part of a Google Classroom group set up by Coach Simmons. He will communicate any changes to the master schedule through Classroom. Players and families can always check the practice schedule through the Martha’s Vineyard Arena website. The booster club provides practice jerseys, hockey tape, water bottles, and skate sharpening free of charge for all players. JV parents are welcome to help raise money for the hockey booster club at any time. However, JV parents and players are not mandated to raise money. We are excited to offer this opportunity to MVRHS students, and the goal is to develop skills, learn the game of hockey, and have fun along the way.